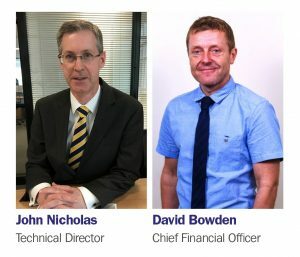 British all-cargo airline, CargoLogicAir (CLA), has announced two new appointments to its executive team. John Nicholas has joined the airline as Technical Director. A qualified aircraft engineer, he began his career in 1982 as an Aeronautical Airframe/Engine Technician with British Airways. In 1992, he joined Caledonian Airways as Technical Services Engineer before rejoining British Airways three years later as Fleet Technical Design Engineer. In 1997, John commenced a 19-year career with the UK’s Civil Aviation Authority. During this time, he held a number of senior technical and engineering posts, including Head of CAA Licensing Policy & Standards, Head of Approvals & Head of Engineer Licensing, and Head of CAA Shared Services Centre. Prior to leaving the CAA in 2016, he was Head of CAA Technical Services, a role that included leading a team of managers, engineers, pilots and support staff undertaking a broad range of technical functions. He is highly experienced in the implementation of CAA, EASA and ICAO requirements, including auditing, aircraft surveying, operator and maintenance organisation oversight. At CargoLogicAir, he is responsible for all technical matters relating to the airline’s Boeing 747 freighter fleet and air safety programme. David Bowden is CargoLogicAir’s new Chief Financial Officer. He previously held the post of Chief Financial Officer at Fiji Airways Group. During this time, he was also Acting CEO of the airline between June-October 2015. After qualifying as a Chartered Accountant, David began his career with Ernst & Young, working in London and Manchester. In 1999, he moved into the technology sector with both Logica UK and Maginus Software Solutions, before taking his first post in the aviation industry in 2003 as Head of Business Intelligence and later as Head of Financial Reporting at First Choice Airways at Manchester Airport. In 2007 he joined Luton Airport-based Thomson Airways as Head of Finance. At the start of 2010, David was appointed Programme Manager at AstraZeneca and worked in the UK, Sweden and the United States. Prior to joining Fiji Airways Group in 2014, he also spent two years as Chief Financial Officer & Deputy CEO of the British airline bmi at its headquarters at East Midlands Airport. John and David are based at CLA’s headquarters at London Stansted Airport.